The other day I wrapped a present for one of my daughter’s best friends. It was her 6th birthday and I wanted to do something special for her. 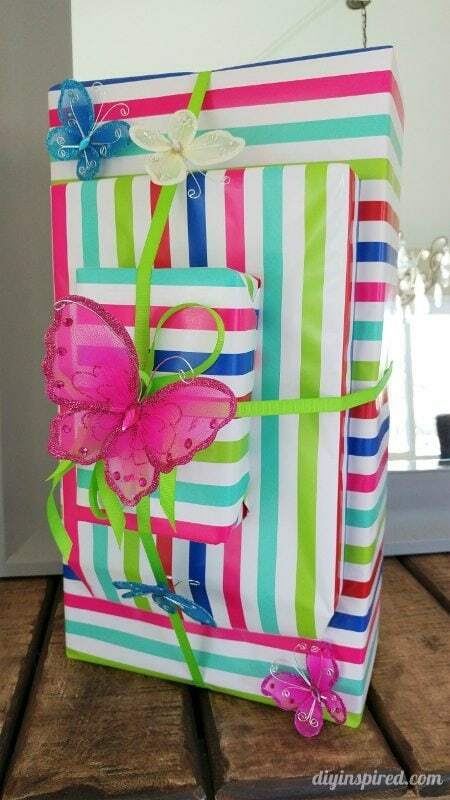 I decided on wrapping it with colorful striped paper (honestly is was the only paper I had that would wrap her whole gift!). To make it stand out, I tied the three packages together and glued some craft butterflies to it. 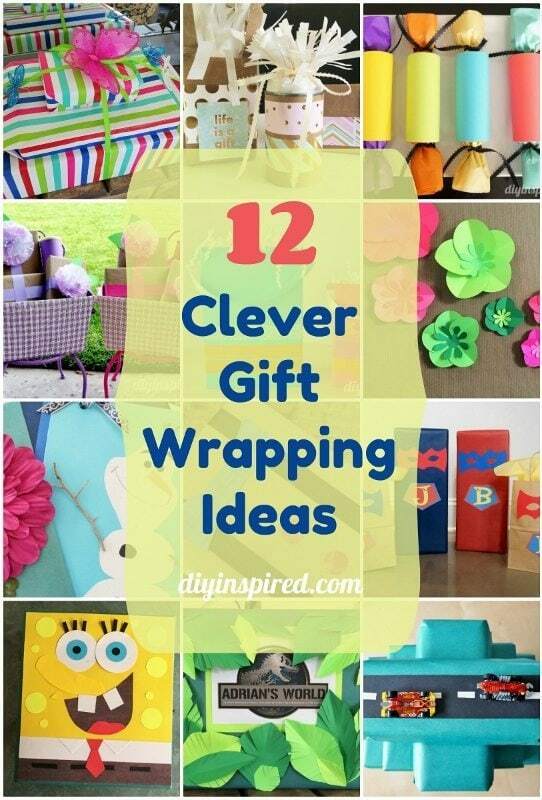 Wrapping this gift reminded me of how much I enjoyed gift wrapping, so today I thought I’d share a round-up of a dozen clever gift wrapping ideas that I have done in the past. Father’s Day is coming up! With the help of some paper scraps and ribbon, this is a simple and cheap way to spruce up a gift wrapped in a brown paper bag. I may have gotten carried away with this one, but I couldn’t help it! I helped decorate a Frozen Fever Summer birthday party, so of course I had to match the gift wrapping for our present to the birthday girl! I am obsessed on making these little paper flowers that are the perfect way to embellish a gift, small or large. 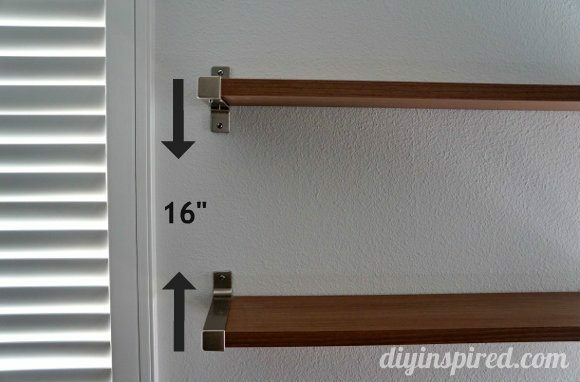 I made a quick 1 minute how-to video too! 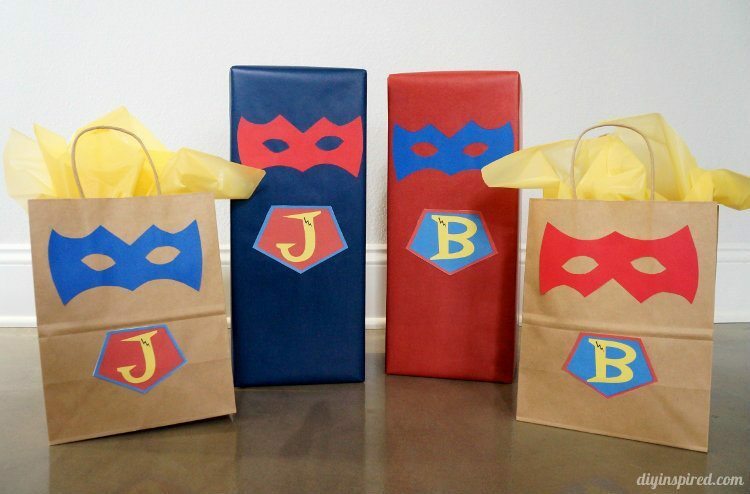 This gift wrapping was for my twin God Daughters, complete with DIY masks and paper capes! My most recent gift wrapping post, you can use these DIY paper leaves for jungle themed or Hawaiian themed party decorations too. 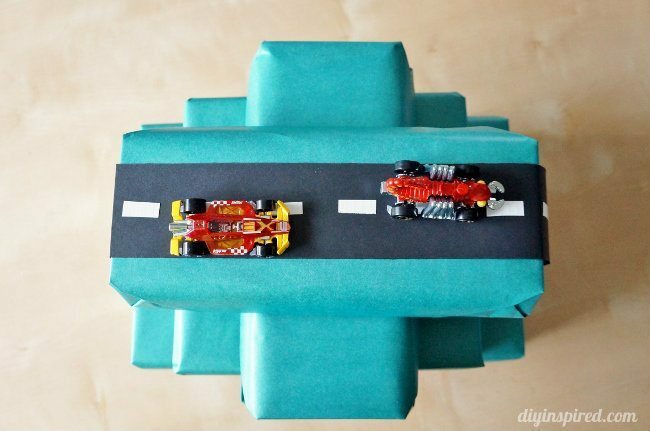 This post shows three very thrifty and creative ways to wrap small gifts with recycled boxes and cans. This was also gifts I had wrapped for my twin God Daughters one year. 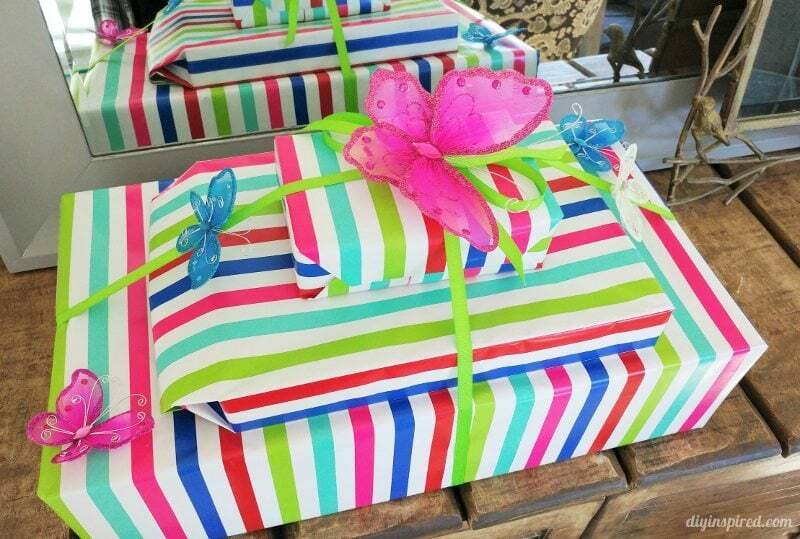 I splurged on their first birthday gifts so I had to save a little money on the wrapping! 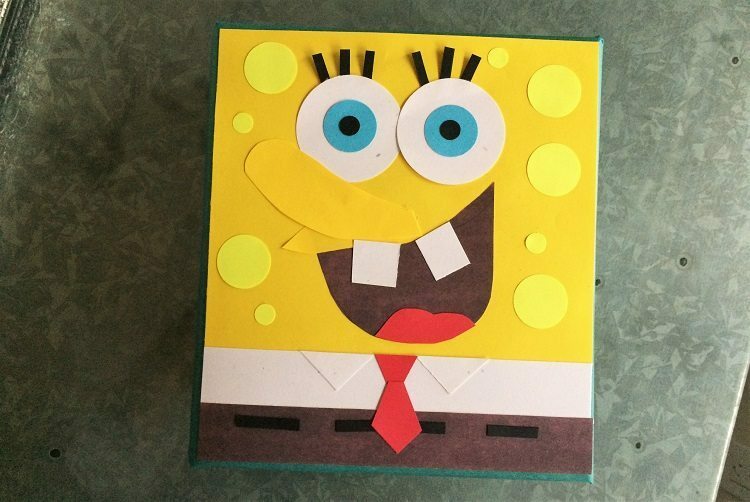 This was an easy way to creatively combine part of the gift with the gift wrapping. 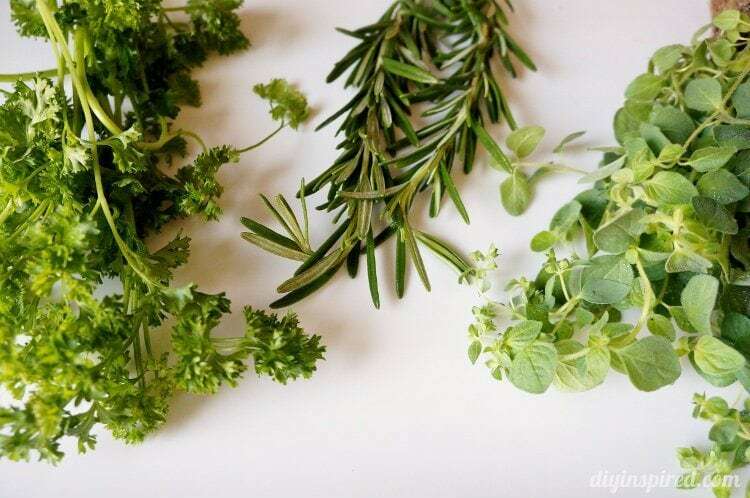 Love these DIY gift bags because they are so easy but definitely creative, especially when you can’t find an old gift bag to recycle in your closet. 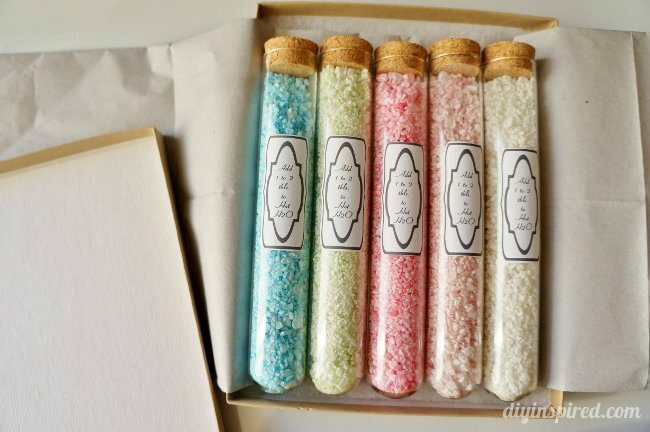 This is a cute and colorful way to wrap small gifts. Any type of cardboard tube will do!